Ace Ski and Board Club has been around for over 25 years, coming a long way from it's company-owned days. They are now a full-fledged non-profit organization run completely by volunteers. Ace Ski and Board Club even has members from across the world! Just because the Ace Ski and Board Club is based in New England, doesn't mean it's obliged to ski there. Members of the Ace Ski Club have travelled as far as Europe in search of fresh powder. Although skiing is the primary focus of this ski club, members get together year round for a smattering of social events. Planning a ski trip of your own? Search over 500 Whistler Accommodation options to find the one that suits your group perfectly and your budget even better. Find out how over 15,000 savvy skiers saved mountains of money in 2009/10 alone by booking through AlluraDirect.com. Save big as a member of the Ace Ski and Board Club. Because of the Club's raw purchasing power, companies are more than willing to negotiate lower prices for members. One of the biggest reasons people join the Ace Ski and Board Club is because of the lift tickets. The Club understands how skiing has become increasingly expensive over the years. Therefore they have taken steps to ease the strain on wallets of their members by purchasing tickets in bulk to get the mountain's best possible rate. Not only do the members of the Ace Ski and Board Club receive their own "in club" discounts, but for a small fee they get to reap all the benefits of being associated with the EICSL (Eastern Inter-Club Ski League) as well. The EICSL is an organization of 23 separate ski clubs primarily located in New Hampshire. 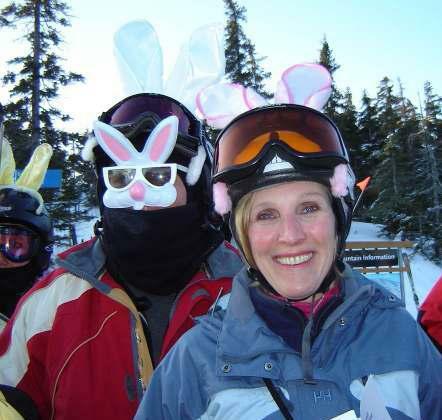 Note: Ace Ski and Board Club does not have access to discount lift tickets for Whistler - but alluraDirect.com does. Order your lift tickets at a discount on our Whistler lift tickets page. The Ace Ski and Board Club meets monthly during the ski season in Boxborough, Massachusetts. December typically has the largest turnout as that is when lift tickets are handed out. Find out where the next monthly meeting will be held or email them for more information on their next meeting. Sign-up for an awesome newsletter jam-packed with savings tips, resort news and discount codes for everything from ground transportation to bungee jumping! Are you an Ace Ski and Board Club Member? Drop us a line if you are an Ace Ski and Board Club member. If you have any additional tips or useful Ace Ski Club information to add to this page, please email us! Looking for more ski clubs? Check out a complete listing of Ski Clubs to find one near you.